Hey podcast lovers! 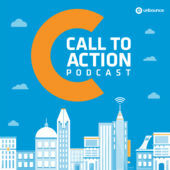 Check out our brand spankin’ new podcast hub to listen to the latest episodes of the Unbounce Call To Action Podcast. Image by Viktor Hanacek via picjumbo. So, the haze of the holidays is slowly wearing off, and you’re looking over the list of resolutions you made half-sober the night after your office Christmas party. If being a better marketer is on that list, then we have a quick and easy way to expand your marketing knowledge — for free! I’m talking marketing podcasts. The genius of these marketing podcasts is that they blend the actionable advice you need to be better at your job, along with some slick production and enjoyable banter. Even better? You can listen to them anywhere. Is shedding the obligatory holiday 15 (like the freshman 15, only shortbread-induced) on your resolution list? Listen to them as you’re hitting the elliptical, like our content strategist, Dan. Or, if you’re like me, you can put one on while you cook (something that’s on the top of my resolution list). 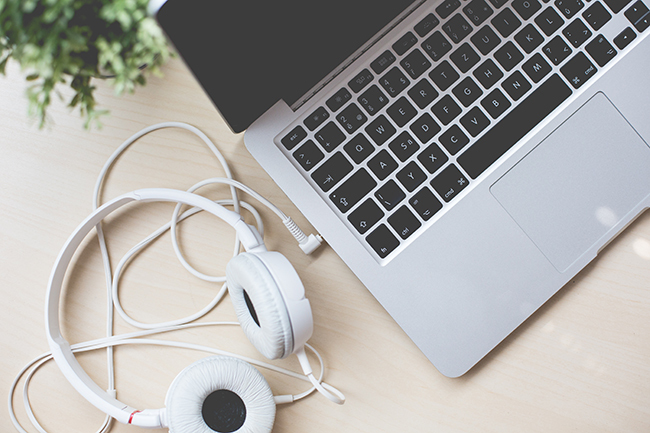 So, without further ado, here are the best marketing podcasts as picked by Unbounce (in no particular order). 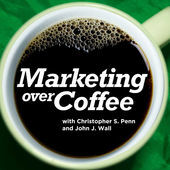 If you want to know what the latest news is in the marketing world, Marketing Over Coffee is the podcast for you. It’s a weekly discussion of what’s new in marketing, hosted by John Wall and Christopher Penn. It’s one of the few marketing podcasts out there that is news-based rather than topic-based (most of the time). Plus, episodes are under half an hour, so pop one on during your morning commute to start your day off informed and inspired. 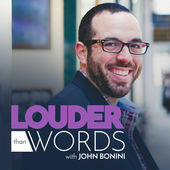 Louder Than Words is a podcast that wants you to be more successful at your craft. Focusing on creative leaders, the show tries to get to the bottom of what has made each interviewee successful in the creative space. Host John Bonini has a casual way of introducing all of the interviews, and talks to a diverse group of individuals making a substantial impact — from designers to writers to entrepreneurs. This podcast was born from a minimum viable product (MVP) project and has since become a staple in the Unbounce marketing mix. You can expect actionable interviews with leading authors in the marketing blogosphere that dissect what truly makes a good marketer, and a successful marketing campaign (if we do say so ourselves!). 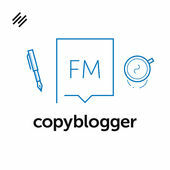 The pros over at Copyblogger recently expanded their podcast selection this year, creating a fleet of podcasts with The Lede being their longest running production. Join hosts Demian Farnworth and Jerod Morris as they talk (and joke) about what’s going on in the copywriting (and marketing) world. Expect to have your burning marketing questions answered! This is probably the shortest podcast you could put in your arsenal. 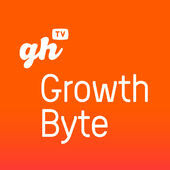 If you’re running out the door and don’t have time to listen to a 30-minute show, Growth Byte will give you the “best startup growth content online” and summarize it for you in two- to three-minute clips. 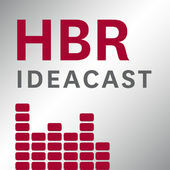 When you think of the Harvard Business Review, the first thing that comes to mind probably isn’t podcasting, but it’s actually on the cutting edge of media production. Host Sarah Green Carmichael sounds like your favorite NPR hosts, and she doesn’t beat around the bush — she goes straight into the interview. Expect experts ranging from professors to CEOs… even Katie Couric. As you can imagine, episode topics will center on many topics including marketing, aerospace and design. Look for their condensed episodes in the HBR print issue each month. 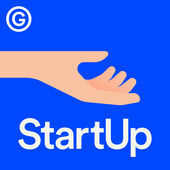 The flagship podcast of Gimlet Media, StartUp provides an incredibly transparent look into what it’s really like starting a business. Host and Gimlet Media CEO Alex Blumberg is no podcast novice, with roots in the This American Life family — and he doesn’t disappoint with StartUp. The first season chronicles the founding of Gimlet Media, from incorporation to funding to its first employee disagreement. The second season features a new startup, but with the same delightful style you’ve come to love. This one is a little bit different in both content and format. 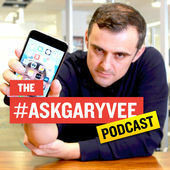 The brainchild of self-described marketing hustler Gary Vaynerchuck, #AskGaryVee is a podcast that’s not actually a podcast. Rather, it’s a YouTube show that has been repurposed into a podcast, which is pretty clever. Gary spends 15 to 30 minutes intensely answering your most burning marketing questions. Have a question you need answered? Simply tweet him with #AskGaryVee and you may be on the next show! 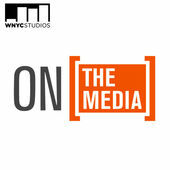 Coming at you from WNYC, On The Media is a podcast on the next level. Since 2001, it has been one of NPR’s fastest growing programs, heard on more than 300 public radio stations. You can expect creative interview transitions as the podcast “casts an incisive eye on fluctuations in the marketplace of ideas.” If you’ve gotten a little bit bored of marketing-only podcasts, listen to this one as a breath of fresh air, and then dive right back in. 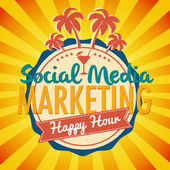 Aimed at entrepreneurs of all types, this 15-minute podcast (usually) comes out five days a week and will give you the inside info on how to leverage social media marketing sites like Facebook, Twitter, Instagram and more from the social experts at Happy Hour Hangouts. If you like professionally produced, banter-style podcasts, give this one a listen. Plus, it’s hosted by women! 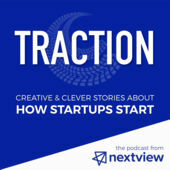 Traction podcast provides an inside look into the nitty-gritty details of launching a startup… you know, the things that get glossed over in the media when you read about those other successful startups. Hosted by Jay Acunzo from NextView Ventures, this podcast boasts expertly produced interviews from founders, startup execs, media members and investors. 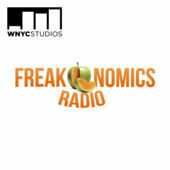 Although not technically a marketing podcast, the Freakonomics podcast is filled with delightful stories that take a lot of data into account. Hosted by Stephen Dubner, with co-author Steve Levitt as a regular guest, it’s produced in partnership with WNYC so you can expect a high-quality product that will entertain, concern and baffle you (sometimes all at once!). You can find all of the podcasts that are on our list of best marketing podcasts in the iTunes store. 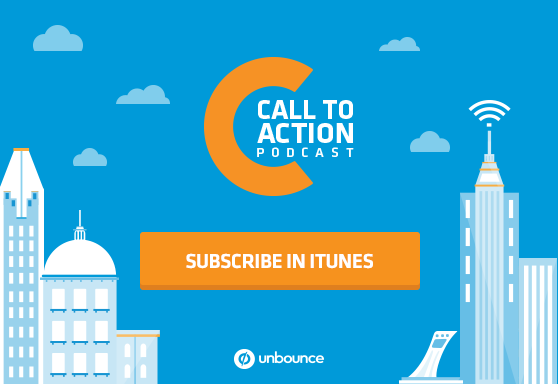 Do you have any other marketing podcasts that you absolutely can’t live without? Let us know in the comments.